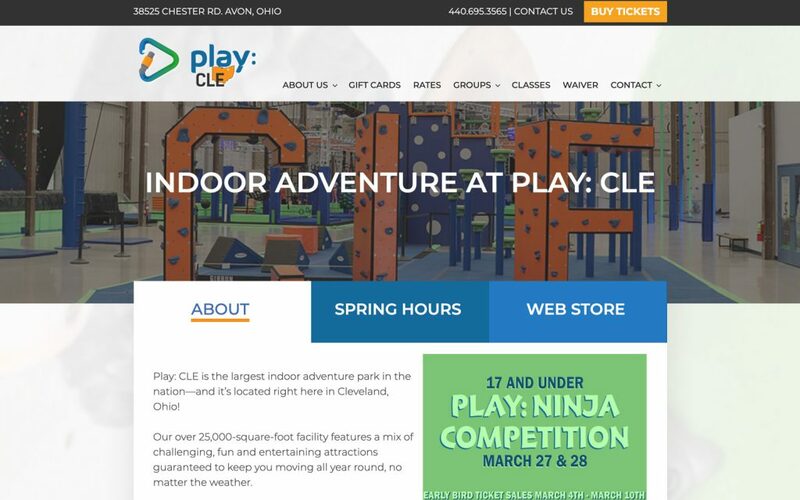 Play: CLE is the largest indoor adventure park in the nation. In 2017, they engaged my client, Sixth City Marketing, to design and develop a custom website for their business. 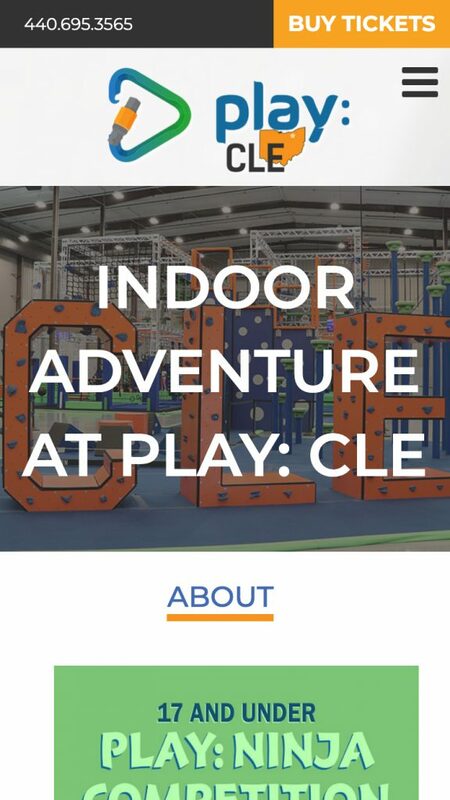 When designing the site, my goals were to create a fun, vibrant look that also managed to showcase each of the facility’s many activities and accommodate a large amount of copy. My strategy for accomplishing this was to use bold colors to highlight unique areas of the site, and muted colors and background images to surround – but not compete with – the site’s copy.